A former Director of Finance in the Office of the National Security Adviser (ONSA), Shuaibu Salisu, has stated that $47million was withdrawn from the Central Bank of Nigeria (CBN) in 11 suit cases. The latest revelation throws more light on how an estimated at $2billion meant for arms procurement was allegedly diverted by senior government officials and politicians during the administration of Goodluck Jonathan. Salisu said he suspected that the cash might have been given to the Peoples Democratic Party (PDP). He, however, said as a civil servant, he was innocent because he only carried out instructions from the ex-National Security Adviser, Mr. Mohammed Sambo Dasuki. It was also discovered that N10billion was withdrawn from the Central Bank of Nigeria (CBN) for gubernatorial and State Houses of Assembly elections. The payment of the N10billion was authenticated by former Finance Minister Ngozi Okonjo-Iweala, who has said she transferred $322 million from the Abacha loot to Dasuki, following instruction from Dr. Jonathan. Salisu opened up in a Statement of Witness/Accused he wrote under oath in the presence of investigators of the Economic and Financial Crimes Commission (EFCC). The statement was attached to the charges preferred against Salisu and filed in the High Court of the Federal Capital Territory in preparation for his arraignment by the EFCC before Justice H.Y. Baba and Justice P.O. Affen. Salisu, who said he did not benefit from all the slush funds from the CBN, said: “I could remember on the 20/11/2014 , I was directed by the NSA, M.S. Dasuki to go to the CBN and collect the sum of $47million in cash and the balance in Euro and the directive was obeyed and the monies were delivered to the NSA in about 11 suit cases. “I acknowledged the receipt of the money from the CBN which was handed over to M.S. Dasuki. “I think the monies were meant for PDP. After delivery, I left, I did not see or know when the money was distributed. “I did not benefit even one cent. The request for the funds was tag(sic) Special Services signed by the NSA, M.S. Dasuki, addressed to the Governor of CBN. The Nation obtained memos of some of the curious withdrawals. In a November 26, 2014 memo to the Central Bank Governor (NSA /366/S), the former NSA instructed as follows: “Further to our discussion, you are pleased requested to provide the sum of $47m cash out of the N10 billion and the balance in Euro to this office for special services. “Mr. S.A Salisu, Director of Finance and Administration, is hereby authorised to sign and collect the amount. Please accept, Your Excellency , the assurances of my highest esteem. In another April 10, 2015 letter, BPSD/CRC/ GEN/FMF/01/36 by the Banking and Payment System Department, the CBN authenticated payment mandate of N10billion to the ONSA for preparation for gubernatorial and State Assembly elections. The letter, signed by CBN Director, Banking and Payments System Department, reads: “In accordance with your letters, Ref. No. HMF/FMF/082.F15276.7 and F.15276 respectively on the above subject, we forward herewith the following mandate for authentication. Mandate Ref. FD/LP(9/4/2015) - N5,000,000,000 to National Security Adviser Account No. 0029172241019, CBN; another N5,000,000,000 to National Security Adviser Account No. 1014199287, Zenith Bank, K-City Plaza, WUSE II Abuja. “Purpose of payment: “Being amount released to the Office of National Security Adviser (ONSA) from the Signatory Bonus Account in preparation for the forthcoming Gubernatorial / State Assembly elections as approved by AGF. In a short note to approve the request Mrs. Okonjo-Iweala simply said: “Authenticated” and signed. There are indications that the EFCC may invite Mrs. Okonjo-Iweala “for clarifications”. She has openly admitted that she released $322million to ex-NSA Dasuki from the Abacha loot recovered. This followed an application for the enforcement of Salisu’s fundamental human rights by his counsel, A.U Mustapha. Mustapha had sought for a declaration that the “arrest and continuous detention of Salisu by the EFCC since November 20, 2015 constitutes a gross violation of the applicant’s rights to personal liberty and freedom of movement respectively guaranteed under sections 35 and 41 of the 1999 Constitution. “A declaration that the arrest and continuous detention of the applicant in custody without any charge since November 20 with a view to denying him freedom of movement as guaranteed by 1999 Constitution and .article 10(1) of the African Charter on Human and Peoples’ Rights( Ratification and Enfircement) Act Cap A9 Laws of the Federation of Nigeria is accordingly unlawful, unconstitutional and illegal. 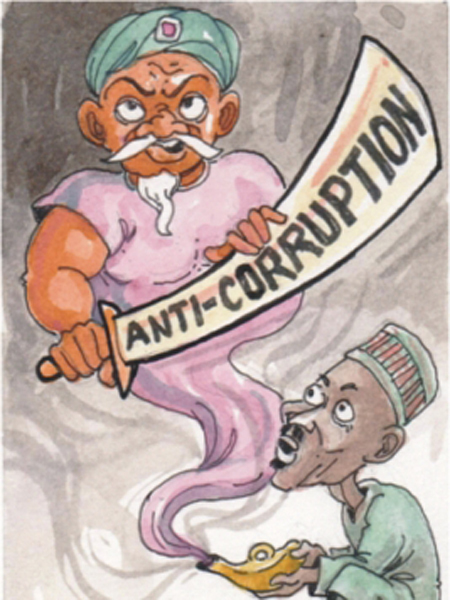 “An order directing the the EFCC to release the applicant forthwith without any condition.